Fund our development by sending some cash to paypall info@climatebabes.com and follow @climatebabes on Twitter.com..
Apple Stole Our Idea! Using Wind to generate Heat! The parts shown above are the wind turbine, axle, heat storage container and the padle fixed to tha axle. You can’t see the water in the heat storage container, that heats up as it gets stirred by the paddle. 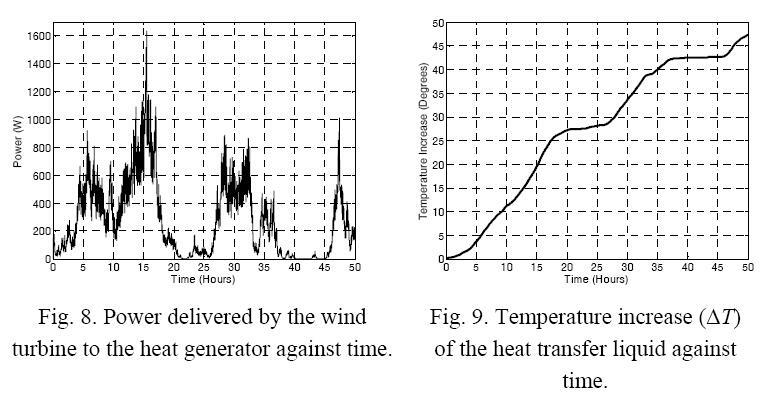 A (lossless) simulation of how a similar device absorbs wind energy turning it into heat over time. In reality the temperature will drop when wind is low. 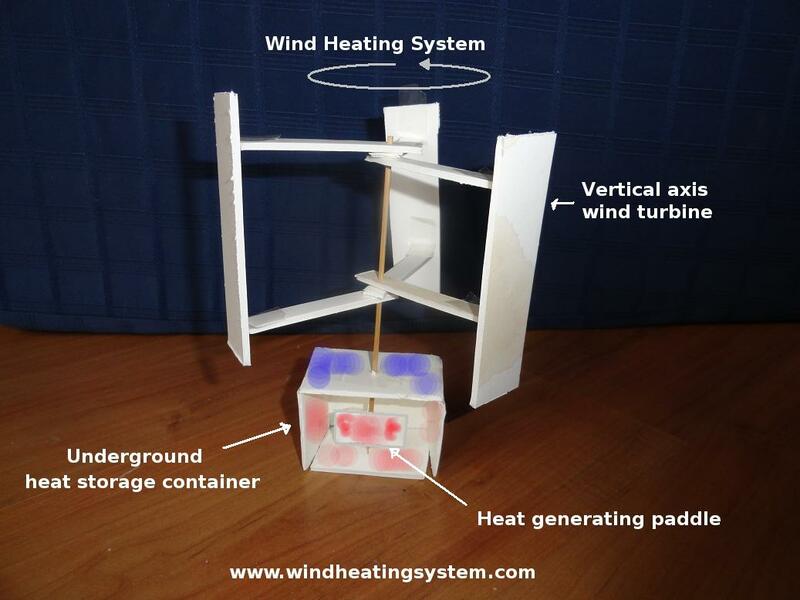 Vertical axis wind turbines (VAWTs) are slightly less efficient than horizontal axis turbines, but the cost of building them is less and the size can easily compensate. What is shown above could be build at a scale of 1:10 or 1:100, the idea would be the same. The underground heat storage container will accumulate heat as the paddle churns water until the water boils and evaporates. Anyone that needs heat can either use the water directly or use a heat exchanger to pipe the heat to their homes. The power accumulated by the device is a function of the efficiency of the VAWT, windspeed, and of the ability of the paddle to churn the water. If the water starts to move with the paddles, the power conversion will be less, the turbine will speed up until it doesn’t absorb any windpower anymore (when it turns with the wind or loses as much as it gains). Ensuring energy absorbtion by the water however is not difficult.